ALBANY – Gov. Andrew Cuomo’s administration on Friday dismissed an apparent FBI investigation into its hiring practices as a “charade,” pointing to previous New York governors that have used a similar personnel strategy. The Times Union of Albany reported Friday that federal investigators have interviewed a number of Cuomo employees in recent months who work in the governor’s office but are actually on the payroll of various other state agencies and authorities. For years, New York governors have used that hiring strategy to inflate their own staff while seemingly keeping the governor’s office budget down on paper. Cuomo is no exception: Dozens of his staffers are paid by the Dormitory Authority, Department of Transportation and other state entities other than the governor’s office, payroll records show. An FBI spokesman could not be reached for comment Friday, while a spokesman for the U.S. Attorney’s Office for New York’s Eastern District declined to confirm or deny any investigation. “In this environment, anyone can ask about anything, but the fact is the longstanding practice of detailing staff from Agencies to work in the Executive Chamber dates back over 50 years to at least the Rockefeller administration and extends to the White House and the federal Department of Justice,” Cuomo spokesman Rich Azzopardi said in a statement. The hiring practice has been used by New York governors dating back at least three decades, when then-Gov. Mario Cuomo — Andrew’s father — pledged to cut his personal payroll by 10 percent but actually used other state agencies to add workers to his staff, according to a 1984 article in The New York Times. The current governor has used the strategy dating back to when he took office in 2011, but has expanded it significantly in recent months. In March, Cuomo announced the hiring of 27 employees, including several who once worked for Hillary Clinton and President Barack Obama. More than 20 of those employees work in Cuomo’s office, but only five are actually on the governor’s office’s payroll, according to the Times Union. That includes Carolyn Pokorny, Cuomo’s chief special counsel for ethics, risk and compliance. She is paid $158,000 a year by Empire State Development, the state’s economic-development branch. Penny Lowy, Cuomo’s appointments secretary, is paid $150,000 a year by the state Office of General Services. As of November 2016, about of 40 percent of Cuomo’s total staff was paid by other agencies, according to the paper. It wasn’t clear Friday what laws the FBI is focusing on in its investigation, but the Times Union reported investigators have focused in part on hiring letters and other documentation given to new employees. In his statement, Azzopardi said investigators should “call George Pataki” if there are questions about the hiring practice. The Republican governor also used the hiring strategy when he was in office from 1995 through 2006. 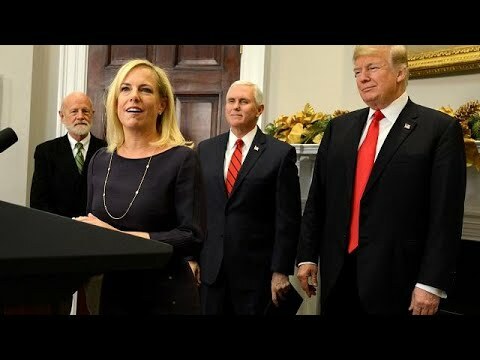 “‎The agencies are all part of the same executive branch, and this administration follows the exact same lawful hiring process we inherited from previous administrations stretching back decades,” Azzopardi said. Cuomo’s office has been investigated by the FBI and federal prosecutors before. In 2014, then-U.S. Attorney Preet Bharara began investigating Cuomo’s abrupt shuttering of the Moreland Commission to Investigate Public Corruption, a corruption-busting panel the governor had set up to probe wrongdoing in Albany. Early next year, Cuomo’s former top aide Joseph Percoco will stand trial. He’s accused of accused of accepting $287,000 from a Maryland-based power company and a Syracuse developer, both of whom had substantial business before the state. Percoco has pleaded not guilty. As Americans, We’re Similar. We Bleed Red and Lean Purple. Its a new time with a new audience, series creator David Collins tells EW. If the original round was about tolerance, this time it is about acceptance. Which means audiences but especially each episodes subject, or hero as theyre called will learn more about the Fab 5s personal lives as they ditch the concrete jungle of New York City to take on straight guys in red states. In order to make the emotions bigger, you actually had to see how [the Fab 5] were reacting to being with a cop from the South who was a Trump supporter, [or] hillbilly Tom, who refers to himself by saying you cant fix ugly, executive producer Rob Eric explains. These guys walked away truly loving every single hero that they made over and talked about them for weeks afterward. It affected them just as much as they affected our hero. The post Netflix Has Rebooted ‘Queer Eye for the Straight Guy’ and This is the New Cast appeared first on Towleroad. Zach Randolph is in the twilight of his career, but in his prime? He had a nasty streak. Much like DeMarcus Cousins does today. 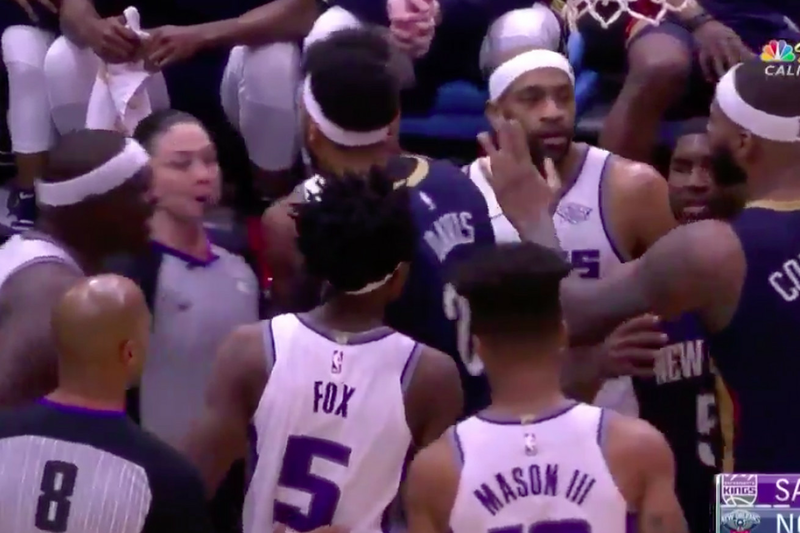 On Friday night when the Kings and Pelicans faced off, Randolph let Cousins know that after the two got in a dust-up late in the game. “Where I’m from bullies get bullied. In my hood bullies get bullied, Randolph said to Cousins. It all started with the two getting tangled up here before these free throws. I wouldnt want to get in the middle of that conversation. Those are two dudes who, as Marshawn Lynch would say, are bout that action, boss. Randolph might be old, but hes not backing down from anyone. And tonight? He got the last word with the Kings beating the Pelicans 116-109 in overtime. He also made this shot. As he said, bullies get bullied. And it seems he was the bigger one tonight.